Branch District Library’s Seed Saver Exchange begins on March 23, 2017. We will have vegetable and flower seeds, as well as a few heirloom varieties, available for free. The seed library will be housed at the Coldwater Branch. Patrons may “check out” up to 10 seed packets per household – no more than 2 of the same kind. Take your seed packets to the service desk to be checked out and counted. Plant them and enjoy your harvest. Please allow one plant to go to seed. Bring saved seeds back to the library in the fall in an envelope, paper bag, or other appropriate container, and fill out the donation form available at the service desk. Instructions on collecting and drying seeds, hand pollinating, and planting times will be available. 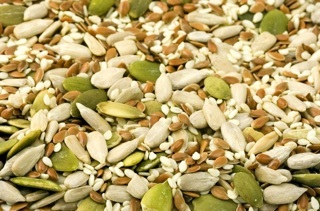 Seeds are available on a first-come first-serve basis for as long as our supply lasts. Seeds will be added as they become available. DISCLAIMER: The library makes no claims as to the viability or purity of the seeds donated. The propagation of patented seeds is prohibited by law. The Branch District Library will not knowingly accept these seeds for distribution to our community and discourages any of our Seed Saver Exchange patrons from engaging in this illegal activity.